Give Master Plumbing a call! 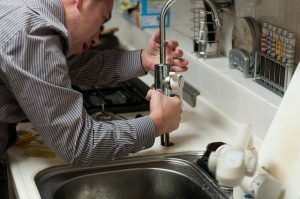 We can fix just about anything that might be going wrong with the plumbing in your Takamo Park home. Here are a couple of the services we offer to homeowners in Takamo Park for their plumbing fixtures. Takamo Park is known as a wonderful town to live and raise a family. But what do you do when your home needs service on its plumbing? Give Master Plumbing a call! We can fix just about anything that might be going wrong with the plumbing in your Takamo Park home. Master Plumbing offers a number of essential plumbing services to keep your home’s system running smoothly all year long. Here are a couple of the services we offer to homeowners in Takamo Park for their plumbing fixtures. We tend to take our toilets for granted because they operate reliably almost all of the time. But we do notice them when they don’t work the way they are supposed to. And even when they do work properly, they may not be as efficient with water as you might think, costing your family more money through higher utility bills. Whether it’s a stubborn clog or any other problem, when you have trouble with your toilet at your Takamo Park home, Master Plumbing can come out, quickly diagnose the problem, and repair it fast. We’ll make sure your toilets are operating at peak efficiency. If you’re looking for a new toilet to help cut down your water bills, Master Plumbing carries a wide variety of water-efficient toilets from name brands such as Kohler, Toto Toilets, and Gerber Toilets. Faucets and showerheads are essential pieces of a well-functioning plumbing system. These pieces are the gateway for water to travel into our homes from the supply, so they need to be in good working order at all times to ensure peak performance. A leaky faucet may seem to be just a minor inconvenience, but it can have a major effect on your water bill. Master Plumbing can remedy the problems your Takamo Park home may be having with faucets and showerheads. Whether your showerhead isn’t flowing properly, your indoor faucets are leaking, or your outdoor faucets aren’t working properly, we can figure out the problem and fix it so that your fixtures are in good working order. And if you want to replace your existing fixtures, we have a great selection of stylish faucets and showerheads to suit any aesthetic! No matter what kind of plumbing services you may need in Takoma Park, you can rest easy with Master Plumbing working on your home’s plumbing. We will give you a fair price for the work that we do and pride ourselves on our honesty, integrity, and courtesy. Your satisfaction is our number 1 priority!